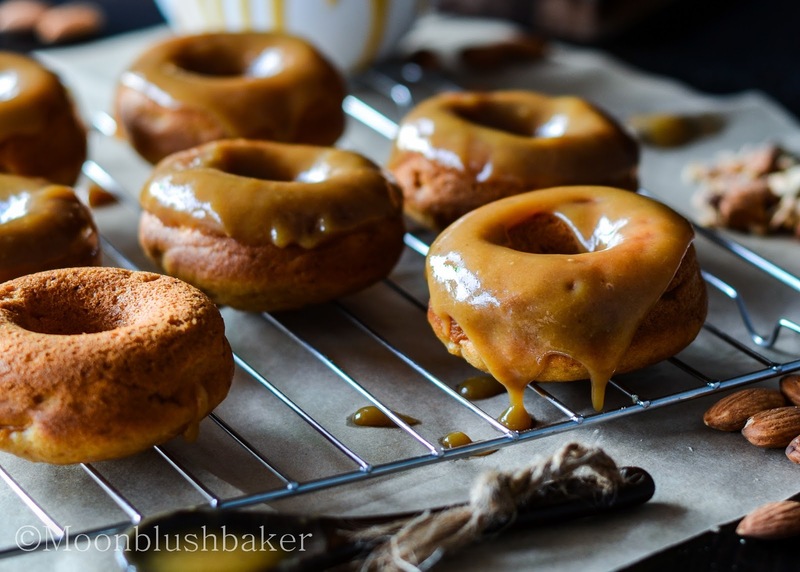 Not so super/-/ Brown butter Sweet potato doughnuts with cinnamon brown sugar glaze. If you know me, I think all food is super. Even the food we all think of as junk food is super in my mind. While they not be most nutritionally dense food stuffs on the plant they provide benefits that a bowl of oatmeal cannot deliver (Unless that bowl of oatmeal has equal amounts of butter and sugar in it). This term ‘Superfoods’ is over used and has too many meanings. In the beginning when the medical professions used it loosely as term to describe multiple health benefits which are not normal that macro nutrient (eg. Carbohydrates, protein, fat). However I feel it is being over used, to describe anything in order to sell it. Any new discovery of ancient type of grain, fruit or vegetable, tag it with super foods and it causes a surge of health nuts running out to go buy tons of the stuff. We all know how the Quinoa has been affected by this sudden surge in popularity, we almost had a “Quinoa crisis” from the over consumption of it. Also who has notice the connection between the price and label super foods? Marketing at its best. Nothing against using the term but most foods we describe as super foods are not really super foods, they are just nutrient dense. Who going to argue with you if you tag a new vegetable as a super food? Aren’t vegetables meant to be “super” for you anyway? Along with all the nuts, seeds, fruit and grain? The thing that makes them supper is that they are in most natural state. What is factor they share? Minimal processing equals super food. As long as you keep the food in the most natural state, I believe it is going to be good for you. Every food should be super! Not everything is about physical health when it comes to food you know? A mixed ball of dried fruit is not going to cut it as brownie sometimes. Now sweet potato is one of those foods that seem to cross the line between healthy and not so healthy. 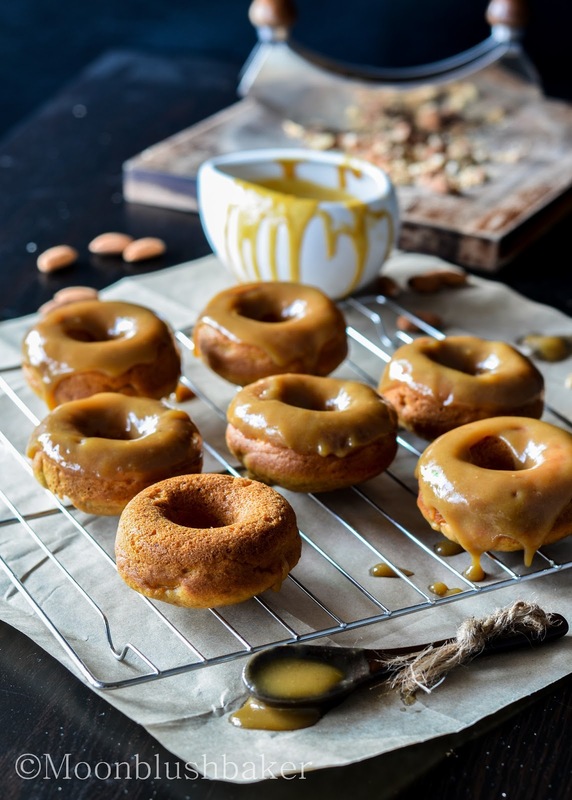 However the sweetness of roasted sweet potato is irresistible in these baked doughnuts. 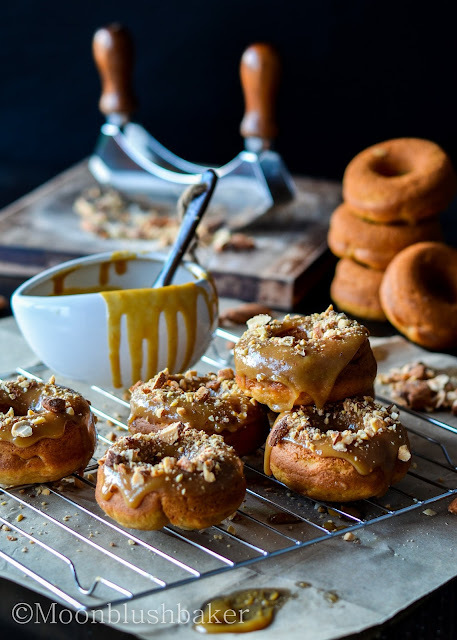 We all love doughnuts, I have done several recipe mocking doughnuts and using doughnuts like my doughnut bread pudding and Golden Spudnuts. 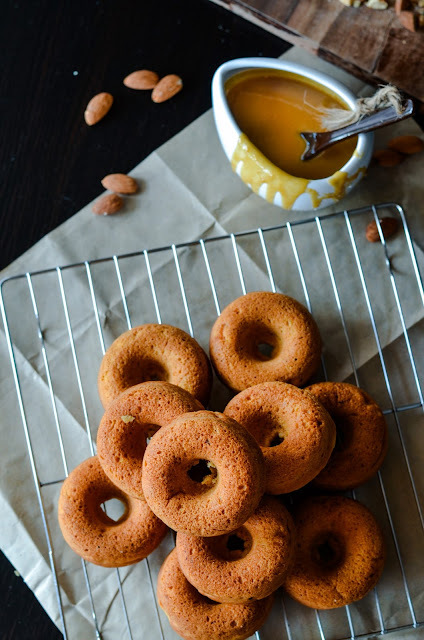 I love the use of whole wheat atta flour, it provides the nuttiness that matches the brown butter so well. 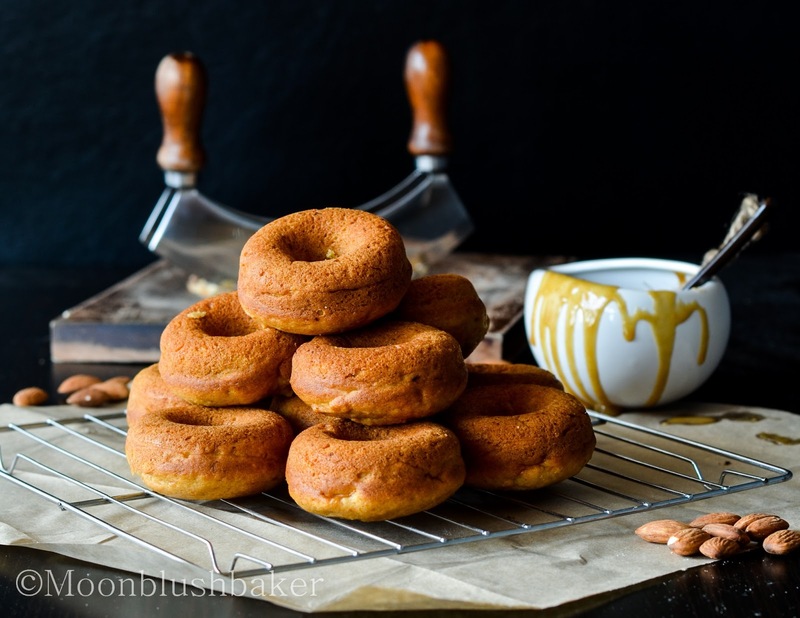 The sugar glaze is a nice touch which is why the doughnuts have reduced amounted of sugar. I topped it with dry, smoked almonds because I love the crunchiness. You may add more spices if you wish but I have an addiction to cinnamon. Preheat oven to 180 C. Grease doughnut pan with oil. Add 1 teaspoon of lemon in milk. Let stand for 5 minutes. Shift flours ,baking soda ,baking powder, and salt. Alternate between milk and flours mix, mixing until combined. 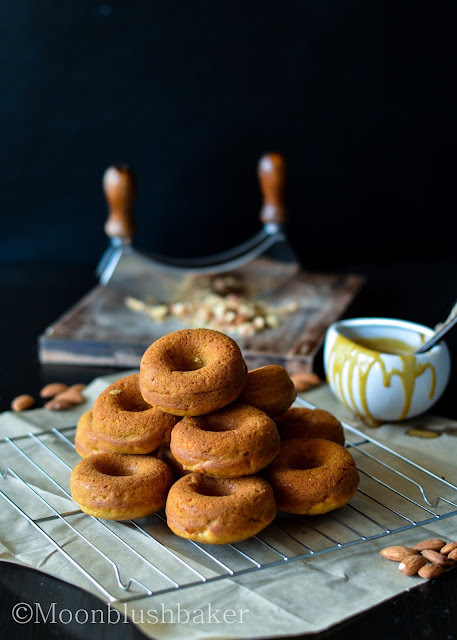 Divide batter evenly between 13 doughnuts and bake for 20minutes, or until lightly browned and a toothpick inserted into the center comes out clean. Allow to cool for a few minutes before serving. In small pan combine all ingredients until combined and dissolved. I stumbled upon this recipe and I am in LOVE! Great job!! Thank you crista, I love for you check out and try this recipe too. OH my goodness. I adore sweet potato. I’m trying these asap. 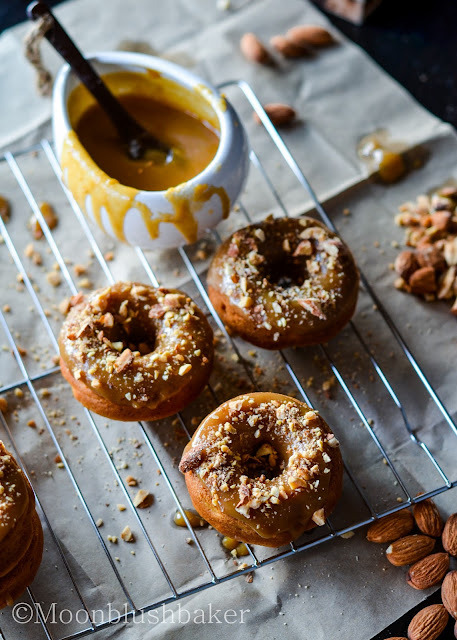 These are the most gorgeous donuts ever! They’re almost too pretty to eat. There are no words for how good these look! I made a loaf of sweet potato bread with brown sugar about 6 weeks ago but your donuts, holy moly, amazing. Pinned! Hey averie! I would love to check out your sweet potato loaf! I love to grilled sweet bread and serve it with a flavoured nut butter. Thank you for your kind words. Hi! Found your blog via food gawker. . love this post! I agree .. I think it’s all about balance and not denying yourself. 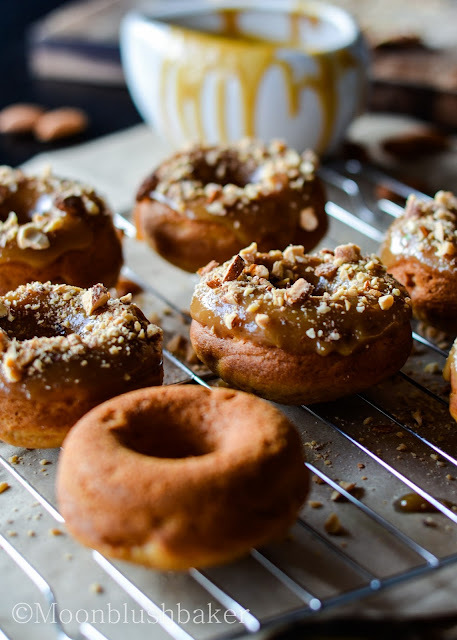 Plus, what’s life without doughnuts like these?! I love this! totally gonna try this weekend! Hey Alice! Well welcome to my website! I hope you enjoy the other things I have made too. Holy doughnut amazingness!!!! These are… breathtaking! Iv never heard of a doughnut pan. Im only familiar with dough rolled out and cut with a doughnut shaped cutter then deep fried. 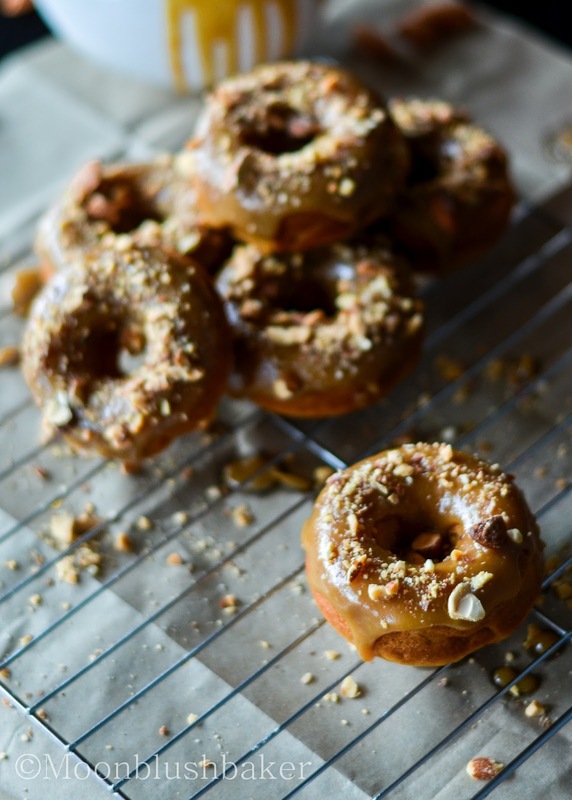 Im thinking how this recipe could make a muffin instead of doughnuts. these sound delish. I love sweet potatoes and doughnuts! Can you revise the recipe to not be in grams? I am too old to learn the metric system. I can but what cup system do you use? I am from Australia, so do you want it in US cups or Aus cups?